Choose a backdrop. This can be as simple as a solid-colored wall or as sparkly as the tinsel curtains you find at party stores. You can use holiday lights, streamers or balloons. Just make sure your backdrop is large enough so that it fills the frame of your photo, and be creative. Make sure your “booth” is well lit. This is the secret to any good photo. If natural light is lacking, you will have to compensate or risk ruining your photos. If necessary, pick up a few cheap floor lamps or borrow them from friends. Whatever you end up using, make sure to test your lighting ahead of time and make adjustments as needed. Get props. Props make photo booths fun. You’ll find more than 700 free printable props here. You can also pick up things like top hats, funny sunglasses, beach balls or whatever fits the theme of your party. How fun are these giant DIY googly eyes? Use an instax SHARE printer. These handy printers connect wirelessly to any smartphone and allow you to print fun, instant photos in less than 15 seconds using the instax SHARE app. Recruit a few friends to take turns working the booth. This person will snap the photos and remind guests to take a second and download the instax SHARE app so that they can print their photos. From Halloween get-togethers to ugly sweater parties, think of all the fun you could have with your own photo booth. You could wrap a giant box to look like a present and use it as a prop. Your Halloween backdrop could be a wall of orange and black streamers. Hosting an engagement party? Keep it romantic with a garden-inspired backdrop and DIY giant paper roses. The best part? Everyone will have their own memento to remember just how fun your party was. 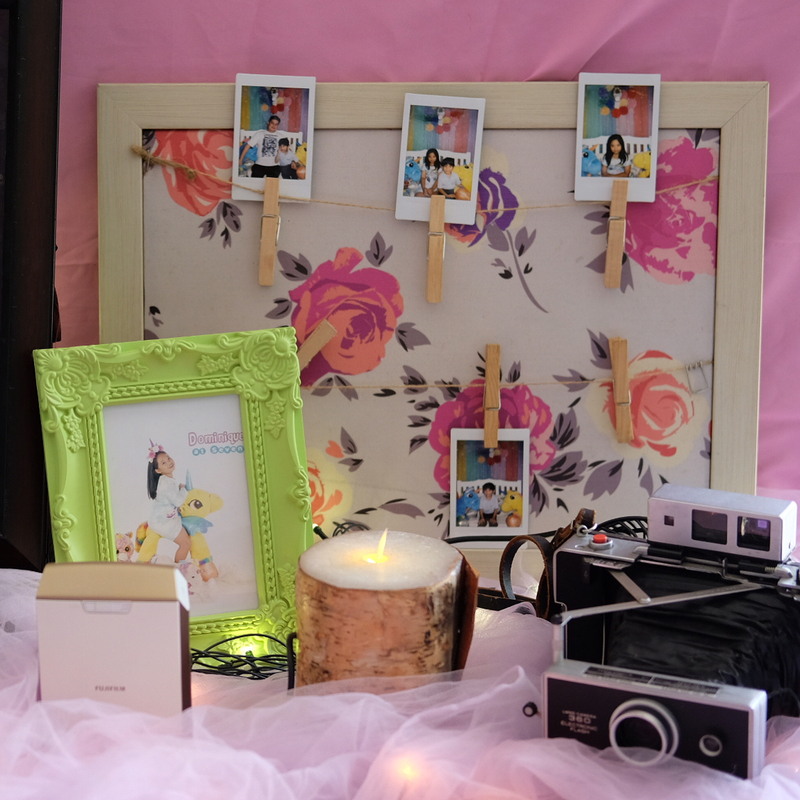 Keep your creativity flowing with our Ultimate Decorator’s Guide, and get inspired to do more with your instax pics.